Prince Rainhart toed around in the dirt of the clearing, found a rock, and kicked it. Briga lifted her head from her paws, considered him, considered the direction of the projectile, and went back to sleep. Marching across to the pavilion the servants had set up, Rainhart flopped down on a cushion, stole a peach from the platter, and used his hunting knife to peel the skin. 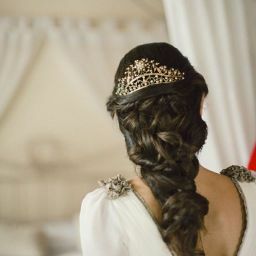 Princess Holle regarded him with raised eyebrows. "We will get there soon enough, brother," she said. "Fretting won&apos;t make the road shorter or the journey faster." "It might if I could convince you to take shorter breaks," said Rainhart. "I&apos;ve been mewed up in a seminary for four years. I do apologise I am no longer sturdy enough to sit on a horse for ten hours a day. If I had been sent off to be fostered with a marcher lord and you to the seminary, you would have the same complaint." "Which has come in very handy for my luggage, thank you." "Aren&apos;t priestesses in training supposed to eschew worldly goods?" said Rainhart, lying back on the blanket. He underestimated his opponent. "I donated all my worldly belongings to a very kind and deserving family in the village on the strict understanding that when the time came for me to leave, I would donate them a purse of coins in return for all of it back again," said Holle with perfect serenity. "Great and lesser gods," said Rainhart, impressed. "Brother, don&apos;t blaspheme in the presence of a holy woman." Holle raised the cup of sweet wine she had been drinking. "And may the great gods hear my prayer and save me from my confirmation." Pushing himself up onto his elbows, Rainhart studied his sister. "You don&apos;t want to be a priestess?" "An accident of birth order, and one of the many joys of our family," said Holle. "Maldwyn to the state, I to the church, you..." She fixed her bright blue eyes on him, "a sacrificial piece in the king our father&apos;s plot to hand Deusetats over to Jovan." Rainhart flopped back down. "Don&apos;t remind me. What do you think she&apos;s like? 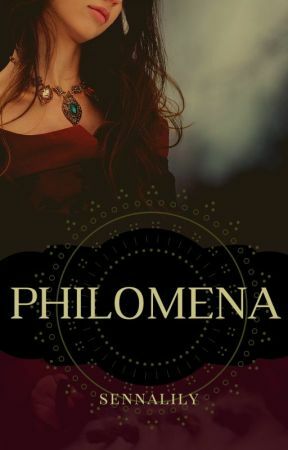 Lady Philomena Sylvanus." "Well, she&apos;s the Empress&apos; cousin," said Holle. "Her father is the Empress&apos; uncle, isn&apos;t he?" "Mm, lord Valentinus Sylvanus. So she&apos;s well born on that side. A pity her mother was an Alysine peasant, though. And I hear she&apos;s very handy with a mop and bucket," Holle added with a giggle. "I suppose she speaks three languages at least." Rainhart looked up into the fabric canopy above him. "Well, so do I," said Holle. "It isn&apos;t my fault one of them is Old Teutic--a dead language that would be forgotten in a crypt if the High Priestess of Deusetats weren&apos;t so obsessed with it." Rainhart sucked air into every corner of his lungs, then puffed it out through his nose. "Can we please get back on the road now?" Draining her cup, Holle held out her hand to Rainhart. "Help me up," she said. When he obliged, she straightened her split riding skirt, patted her hair down and said, "I am ready to go now." "And thank the great and lesser gods for that," said Rainhart, looking up at the sky. Rainhart could feel sweat trickling down his back, between his shoulder blades. What with the sun, the horse and his quilted doublet, it was surprising that he hadn&apos;t just melted into a puddle. Of course the day when they were riding out of the forest onto the cleared fields around Breg would end up being unseasonably warm for the spring.